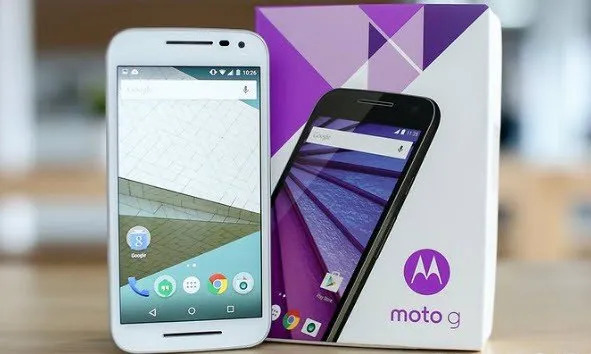 Remove FRP and Bypass Google Account Moto G3 and Moto G4 Plus, you must have “Wifi Connection” nearby, and then connect your device to “WIFI” to accomplish Bypass FRP Moto G3 and Moto G4 Plus, then select your desire “LANGUAGE” from there, and then click “NEXT”, it will start “Checking Connection”, so wait there for 2 minutes at least, and after that on “About your Policy Page”, tap to “ACCEPT AND CONTINUE”, then after you will stuck on “Verify Your Account” game, you will be asked to enter your Gmail account to bypass this option, and you will not be able to tap “NEXT” from there, so let’s fix it. -From very first “Welcome” screen, tap on “Yellow” arrow to go for next. -Now Connect “Wi-Fi” to your device. -Now Go back to “Select “Wi-Fi Network” screen and tap on “Add Another Network”. -Type there “Techeligible” and long press on it, so that (CUT, COPY, SHARE) options appears. -Tap on “Share”, and you get “Share Options” bottom of your screen. -After that tap on “Notification”. -Now tap on “App Settings”. -Tap on top right corner “3 dots”. -Tap on “Apps”, after that “Google App”. -Tap on “Notifications”, and after that “App Settings”. -Tap on “No Thanks”, and google will open successfully. -Type in search bar “Chrome”, and tap on “chrome icon” to open it. -After that, Tap on “Accept & Continue” and then “No Thank You”. 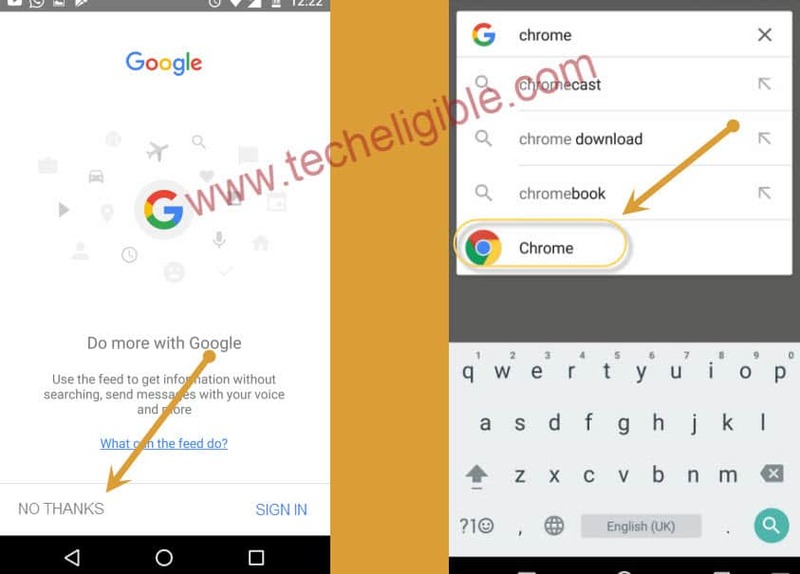 Now you have successfully opened google chrome in your mobile, its time to search some files to download, for that you will have to type url of this post to download files from here. -Now Download apps to Bypass Google Account Moto G3 and Moto G4 Plus. -Once downloading finish of all files, you may get an option bottom of your mobile screen, just tap on “OPEN” to go to “Download Folder”. Where you will be able to see all downloaded apps. Install “ES FILE EXPLORER” first, so for that, follow below methods to install app. 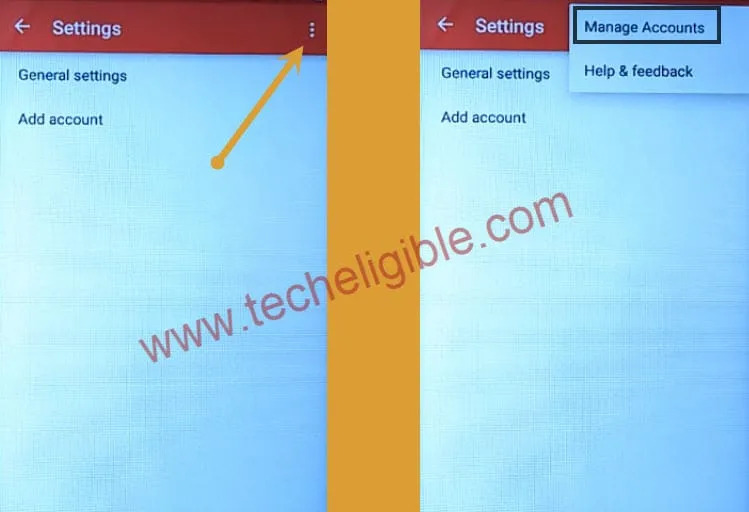 -Tap on “ES FILE EXPLORER” > Install > OPEN > from es file eplorer app, “SWIPE LEFT” with your finger to go to “DOWNLOAD” folder, then tap on “DOWNLOAD” Folder, and there you will be able to see all your downloaded apps. Tap on > Bypass MOTO > Install > Install > OPEN > Select “Setup Device Owner” > SET UP > ENCRYPT > ENCRYPT PHONE. Remember: If your “ENCRYPT PHONE” option is not highlighted, means you are unable to select this option, it must be because of your “LOW BATTERY” of your mobile, you must have more than 80% Battery in your mobile, if you have, so then to make highlight this option, “PUT YOUR MOBILE ON CHARGING”, then option will be highlighted to tap on. 2nd Option: If you have low battery, so to Bypass Google Account Moto G3 and Moto G4 Plus, put your mobile on charging, and then “SWITCH OFF” your mobile, and let it be 80%, after that remove charger, and “Switch ON” MOTO G3/G4, and then select your desire “LANGUAGE”, and then tap to “NEXT”, and wait on “CHECKING CONNECTION”, after few minutes, you will automatically be redirected to “SET UP YOUR DEVICE” option, from there tap on “ENCRYPT”, and then again if “Encrypt PHONE” option isn’t highlighted, so don’t worry, simple put your mobile on “CHARGING” again, and then this “ENCRYPT PHONE” option will be highlighted. Step 6: Now you have successfully highlighted your encrypt phone option, tap on “ENCRYPT PHONE”, and then your mobile will auto restart, and start being ENCRYPTED, it may take several minutes to be finished, once 100% encryption done, your device will auto start, and then after selecting desire language, you will get pop up screen, “NOT SIGNED IN”, from there tap on “SET UP PHONE”, if again and again you receive same pop up error, so simple “RESTART YOUR DEVICE” by pressing power button. Then again by pressing power button, switch on your device, and there you will have “Setup Finished” screen, just select “SKIP” and tap on “NEXT”, on next screen you just need to tap on “FINISH”. 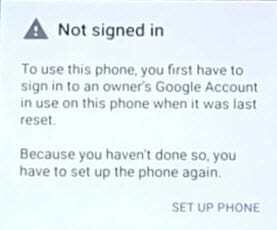 Final Step: Go to mobile “Settings”, tap on “Backup and Reset”, select from there “Factory Data Reset”, and then “RESET PHONE”, then “ERASE EVERYTHING”. 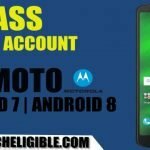 That’s it, you have accomplished this method successfully to Bypass Google Account Moto G3 and Moto G4 Plus, and now you can add your new google account. If you liked my this post, don’t forget to post comment below. 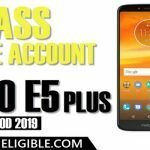 Note: If this method is unsuccessful with “MOTO G4 PLUS” so i would highly recommend you to visit this latest method to Remove Moto G4 Plus frp with best free FRP Tool [CLICK HERE]. Got it. Problem solved. I managed to open the APK files now. Just go back to the original chrome tab that popped up and type “do” and downloads should pop up. Click on it to get into your dowloads folder!! overwrite existing custom game/service files? Having the same problem. Cannot open the APKs. Do not have “Download” option under the 3 Dots list. Chrome wants to update. Cannot update Chrome, gmail needed. Any other way to open the APKs? Thanks, Rafael. tap on “3 dots” on your chrome browser right corner, and then tap on “Download”. to go to download folder. Little late to the party, but to save anyone the absolute frustration I’ve went through trying to figure this out, finally found how to open the online chrome downloads to install the .apk files. When you click the “show cards” and the Google search comes up where you type in “chrome” to get to the internet, instead type “downloads” and it brings it up. Finally got it after 2 days of bulls**t and still trying to figure out how I didn’t think of it before as I’ve clicked chrome probably a hundred times. Hope this helps. Moto gen 3 I love it thank you so much you don’t know how long I’ve tried to unlock this device watched so many videos but this one was so easy. I’m not very good following instructions but like I said this was so easy to follow. I’m so happy that I finally did it. 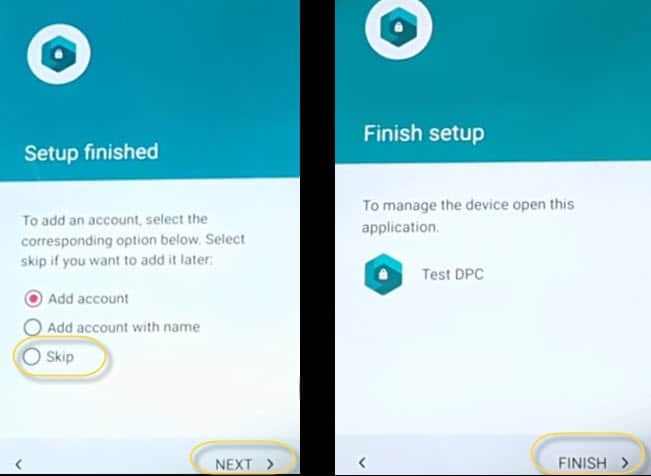 I have Moto G4 and when I get to set up DPC (Bypass Moto), there is no option to set up Device Owner, only set up Managed Profile. If I do try set up Managed Profile, I get the dialogue box: Oops! 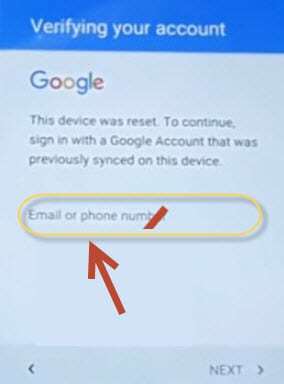 This device is locked by factory reset protection. Contact your IT department. Android version 7.0, security patch level March 1, 2017.
tap on “No thanks”, from google. Continue remaining process from above after google opened. I still do not see a “share” option. Please help! What options you are getting there ? Only CUT – COPY options. 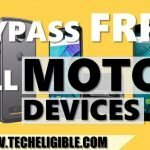 The bypass moto file will not down load to the phone. OK, type any other text and then try. if even then you are unable to get “SHARE” option even long pressing, so go back to “Verify your account” screen, from there tap on “Email or phone number”, and type there any “text”, and then long press on it, i hope you will be able to “cut, copy, share” popup over there, and then select “SHARE” and share with gmail. copy and past below image url into your browser to see where to type text. After trying multiple other “fixes” on youtube, your solution worked on my G4. Well done!